For years now I’ve been browning ground beef in my homemade taco seasoning to make tacos. On a whim I decided to make slow cooker taco meat. Boy, am I ever glad that I did. Hours in the slow cooker makes browned beef even better. Tender, juicy and tasty. Perfect for taco night! I used a very lean ground beef when I made this taco meat. You don’t want to deal with a bunch of fat floating around the top of your slow cooker. Ewwwww. No, use at least a 90/10 (that’s 90% meat, 10% fat) mix and crumble it well when frying it. 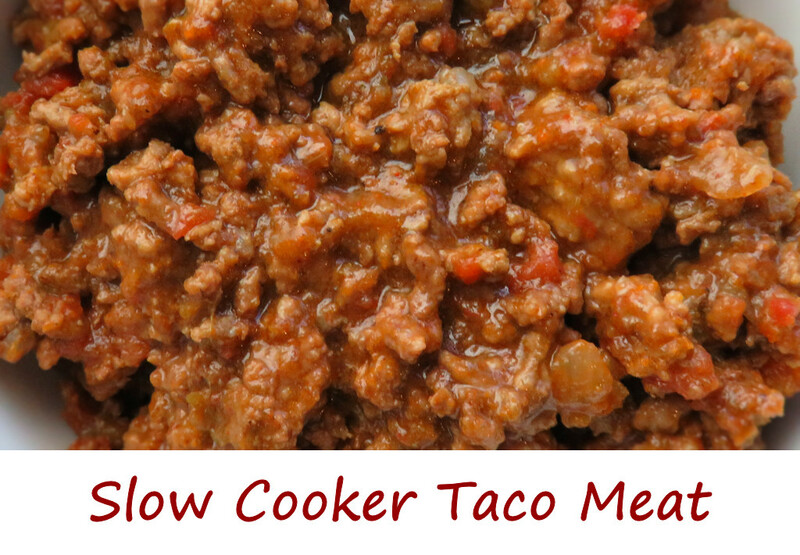 Any extra taco meat freezes very well so don’t be afraid to double the recipe if your slow cooker can handle it. Crumble the ground beef into a large skillet over medium-high heat. Cook until just about done. Add the onion and stir. Cook until the beef is cooked through. Transfer meat and onions and all remaining ingredients to a slow cooker. Stir and cook on low 4-6 hours. I usually cook wings on my Char-Broil Big Easy or on my charcoal grill using the Vortex. I have to admit, I was pretty pessimistic about the idea of cooking wings in a slow cooker. Would I like the texture? Would they taste as great as wings off the grill? 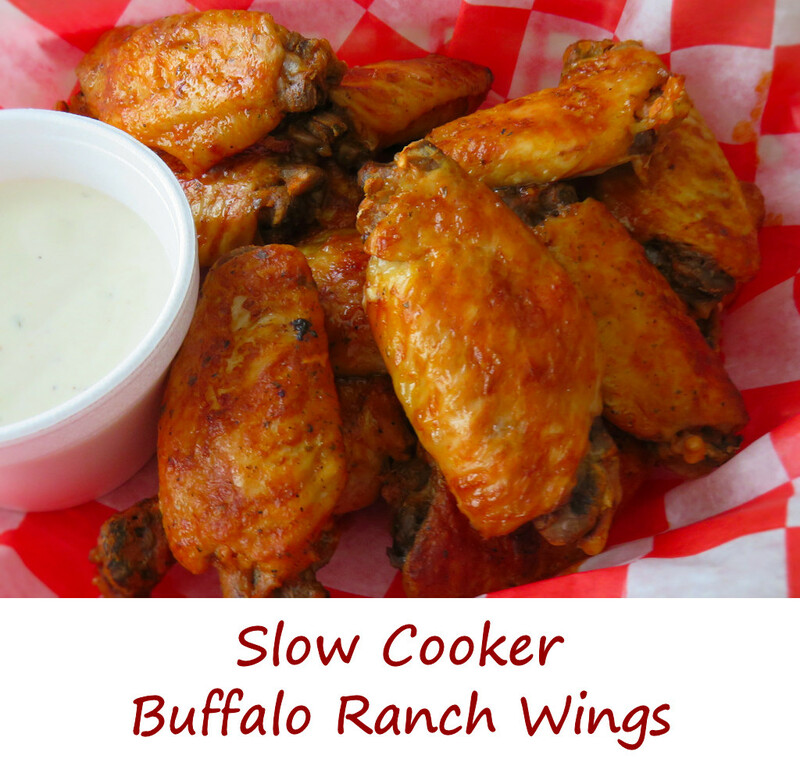 One thing’s for sure, making Buffalo Ranch wings in a slow cooker really couldn’t get any easier. It was the perfect recipe for my working-from-home lunch. Toss everything in first thing in the morning and at lunch, enjoy some wings! So how were they? Well, mighty tasty for starters. In fact, I loved the flavor. Big time. Texture-wise, they got barely crispy but the meat was oh-so-tender and juicy. For truly crispy skin you’ll have to leave them under the broiler for a good bit of time, but keep an eye on them. I found the skin to be melt-in-my-mouth tender and I didn’t actually miss not having super-crunchy wings. In fact, it was a nice change. I loved them! Although not traditional Buffalo wings to a purist, I still enjoyed these slow cooker Buffalo Ranch wings more than I actually thought I would. No mess, no fuss and very tasty. Certainly much easier than firing up a grill or even deep fryer to make a batch of the wings you normally expect. Meijer makes a fantastic Buffalo wild sauce that is great for this recipe. Place the wings into the bottom of your slow cooker. Combine the wing sauce, Ranch dressing mix and salt and pepper and pour over the wings. Cover and cook on high for 2 1/2 hours - 3 hours until the meat is starting to pull back from the bones. Carefully transfer the wings to a baking sheet lined with foil and sprayed with non-stick spray. Place under the broiler and broil until just starting to crisp. Let cool slightly then serve with Ranch dressing for dipping. I almost bailed. I almost didn’t post these slow cooker Vietnamese ribs. To be truthful, they stunk up the house. Seriously. There’s tons of fish sauce in them, and if you’ve used fish sauce before you know it stinks. And then some. But, here’s the crazy part: they’re crazy delicious. That surprised the heck out of me. That fishy smell disappeared and left me with a rack of completely fall-off-the-bone ribs that I devoured like I hadn’t eaten in two weeks. Who would’ve thought? 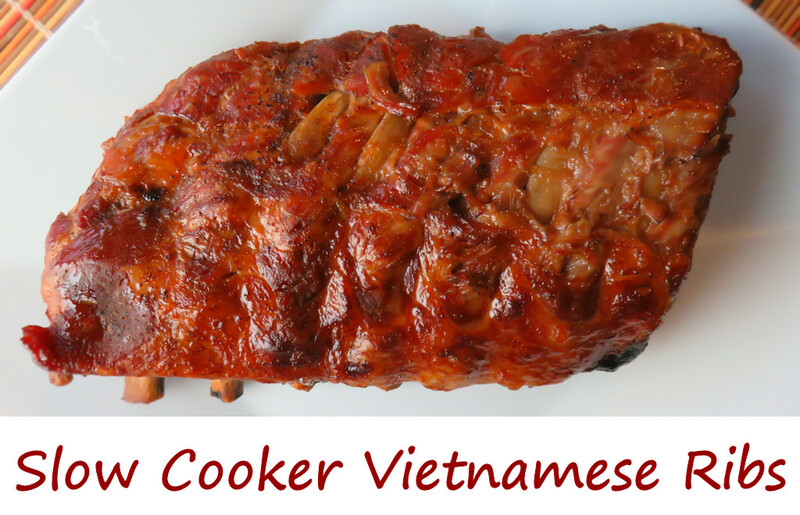 I’d keep an eye on these slow cooker Vietnamese ribs after about 6 hours. I cooked mine the full 7 hours before placing them under the broiler. You may want to take the ribs out sooner if you prefer yours to stick to the bone a bit instead of completely falling off. Mine definitely came out tender. Also try my oven baked ribs. Place ribs into the slow cooker. Stir together the shallot, fish sauce, salt and pepper. Cover and cook on low for 7 hours or until the meat is starting to fall off the bones, rotating the ribs after 3 1/2 hours. Turn on your broiler. Carefully transfer the ribs to a foil-lined baking sheet and place under the broiler, meat side up, for 4-5 minutes or until nicely browned. Pour the juices that remain in the slow cooker thru a sieve and into a sauce pan. Bring to a boil and then reduce to a simmer for 15 minutes until nice and thick. Serve ribs brushed with reduced sauce.